The California Academy of Sciences in San Francisco isn’t a Hollywood movie studio. It does, however, produce about six times the amount of media storage volume that a typical studio might in a year, and uses the same tools and technology to deliver the same premier production values. The renowned scientific and educational institution is the only place in the world to house an aquarium, planetarium, rainforest, and natural history museum under one roof. Its Morrison planetarium is also the world’s largest, offering an expansive, immersive 180-degree experience for visitors. The planetarium’s shows are created by the Academy’s Visualization Studio, and would not be possible without Panasas ActiveStor Solution. “It’s the backbone of everything we do,” says Michael Garza,Sr. Planetarium & Production Engineering Manager. The newest original planetarium show, called Expedition Reef, is an exquisitely detailed underwater exploration of the biodiversity of coral reefs. To support the planetarium experience—delivered with six 4K projectors that stitches and blends the content across the panoramic experience—the Academy needed the future-ready storage infrastructure that Panasas provides. Immersive content requires reliable storage that delivers exceptional performance and is truly plug-and-play (since the Academy’s small IT staff always needs to find ways to reduce IT management time). It also places unique demands on workflows. Multiple artists need to work on the same dense media files simultaneously, and the rapid turnaround times demanded by the Academy’s schedule require that rendering processes complete quickly and without issue, so artists can meet deadlines. 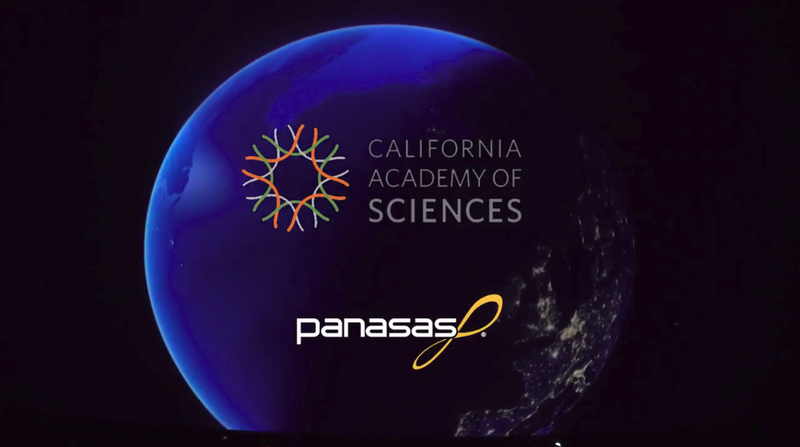 Watch this video to learn more about how California Academy of Sciences partnered with Panasas to deliver streamlined workflows and uncompromised performance.